We all want to be home for the holidays — and that’s probably the safest place to be. 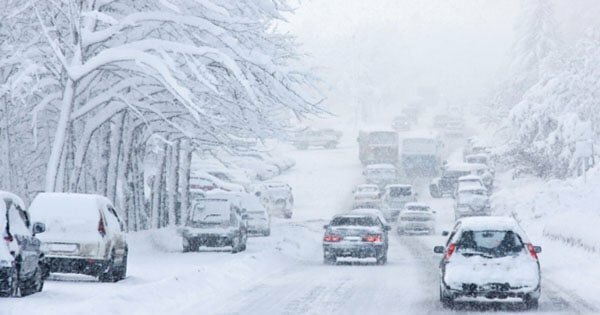 Snow and ice, crowded parking lots, speeding shoppers and drunk drivers all raise the chance of being involved in holiday car accidents. Christmas Eve is the day with the third-highest incidence of crash deaths related to alcohol, according to the Insurance Institute for Highway Safety. (New Year’s Day, unsurprisingly, has the highest number of alcohol-related deaths). 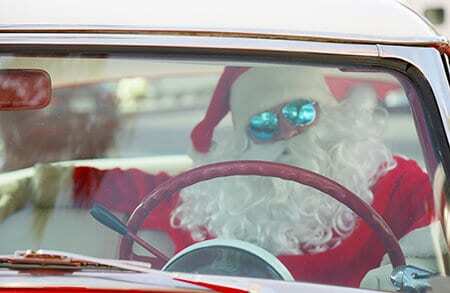 Here are some freak holiday car accidents that actually happened — watch out for flying snowmobiles and rogue Santas! 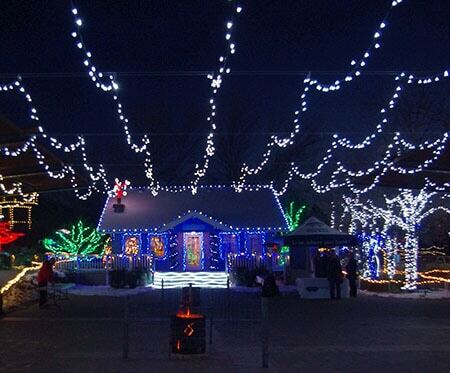 As Christmas light displays get bigger, so do the crowds. Elaborate lights have even caused holiday car accidents. In 2014, a Los Angeles man drove his truck into two parked vehicles, which then hit a group of people who were standing on the sidewalk and admiring some Christmas lights. Thirteen people were injured, although all survived. In 2015, a driver hit and killed an elderly man who was trying to cross the road to see a big Christmas light display. “When you have a 60 mile-per-hour speed limit and you have the light show with people stopped on both sides of the road, crossing the road, people getting out of their cars and stuff, it gets scary,” neighbor Tonya Haney told the local news. If you think stores are out of control on Black Friday, the roads and parking lots can be even worse. People have stabbed each other and gotten into fistfights over parking spaces. And holiday accidents are common. Car accidents increase by 34 percent on Black Friday, compared to other Fridays during the holiday season, Progressive’s data shows. And 31 percent of claims on Black Friday are related to backing up or parking. Another cause of Black Friday crashes: sheer exhaustion. In 2011, a Target employee getting off the night shift was so tired that she drove her car into a Miami canal. She couldn’t swim, so a sheriff’s deputy dove in to rescue her. During a snowstorm in Suffern, N.Y. in 2016, local residents saw a young man speeding on a snowmobile and driving erratically. He then crashed the snowmobile into a parked police car, flipping it over and damaging the police car and another parked vehicle. Fortunately, the snowmobile driver was okay except for a leg injury. 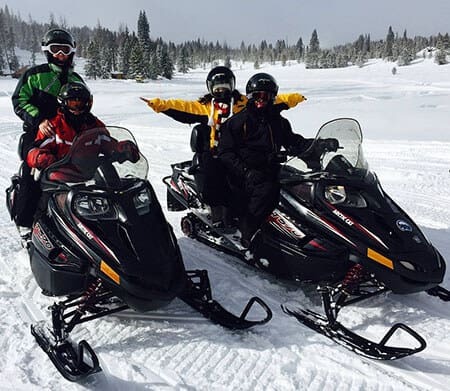 Countless little (and some not-so-little) kids crash their sleds every winter, and most of them come away with just a few bumps and bruises. But when people try to amp the adrenaline by pulling a sled with a car, it rarely ends well. A Colorado Springs man died in 2015 when his sled hit a parked car while being towed by his friends. In 2016, a Michigan teenager died when his sled crashed into a tree while being pulled behind a car. A year earlier, a different Santa Claus in Dubuque, Iowa, helped a young man who swerved into a ditch to avoid a deer. “I called his mom to let him know he was okay, and she asked ‘Who is this? '” he said. “I said, ‘Santa Claus, ma’am’ and you could almost hear the tears in her voice.” So when you see Santa behind the wheel, will he run you off the road or offer a helping hand? That depends on if you’ve been naughty or nice. What’s the best way to protect yourself from all kinds of holiday car accidents? Good car insurance, of course! Compare.com can help you find the best rates available from multiple insurers. Even if you have a holiday accident or DUI in your past, we can help you get SR-22 car insurance. Drive safe, and happy holidays!